Marine life spotting tour, environmental education, scientific research. 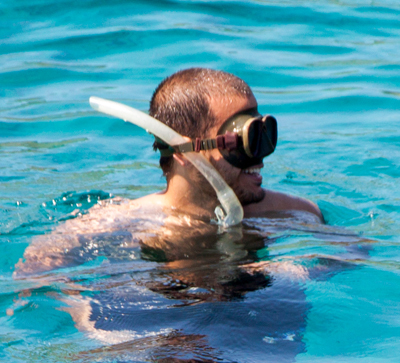 Eco-tours accompanied by expert marine biologists. 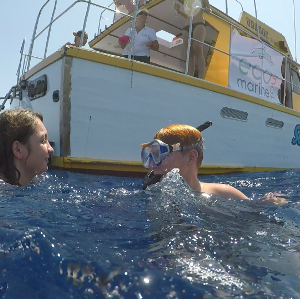 Eco marine Malta wants to let people living deep experience into nature: our goal is to connect people to our seas and oceans, in particular to the waters surrounding the Maltese Islands, small gems in the middle of the Mediterranean Sea. 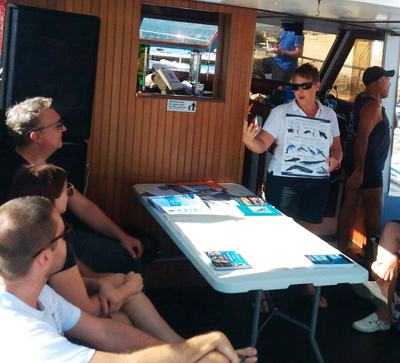 Our aim is to educate and to be educated by this experience on board and let people, both children and adults, become aware of the beauty and the importance of the ecosystem’s environment and the marine world. On board, always an expert biologist who will accompany our guests on a journey into nature and knowledge. 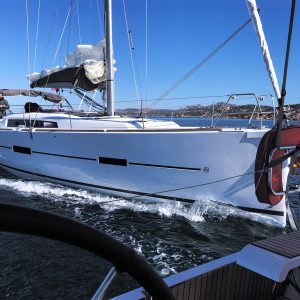 The small but comfortable size of the boat allows us to experience direct contact with the surrounding nature and its breath. Only nature and wildlife will guide our day, our stops and our conversations about environment and conservation. An adventurous day discovering the marine ecosystem and the basics of sailing. Marine biology combined with sailing bases to live incredible emotions. Breathtaking landscapes await you while searching for marine animals. There are two stops to swim and snorkel in the spectacular crystalline waters close to Gozo. 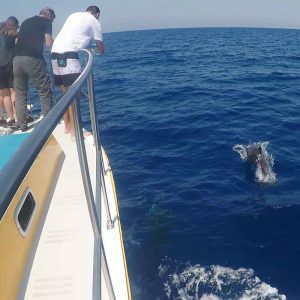 Starting from Mellieha, we will cross the Chirkewwa channel to reach a depth of up to 1000 meters in search of dolphins, turtles, seabirds and why not…. sperm whales! Discover the astonishing Maltese South West coast and the incredible nature of Filfla and its crystalline water with our expert marine biologist. Feel the soul of the sea, admire the extraordinary colours and landscapes of Maltese Islands during the most lovely time of the day. 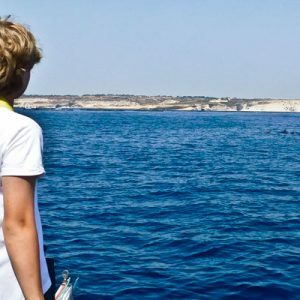 Surrounded by rich marine life, renowned for diving sites and historic shores, Malta is the ideal place to develop the Eco Green Marine tours. 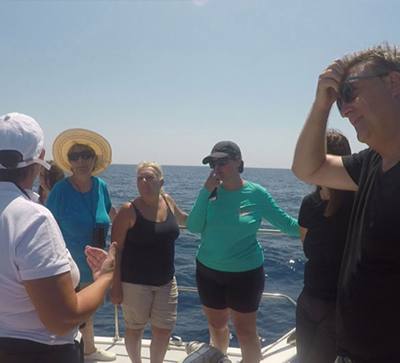 During our tour, it is possible to encounter creatures such as Dolphins, turtles, tunas, swordfishes, jellyfish and much more organisms of the marine ecosystem. Our Boat, Si Bona, is a typical Maltese fishing boat with a “proud and robust soul” like Maltese Islands. 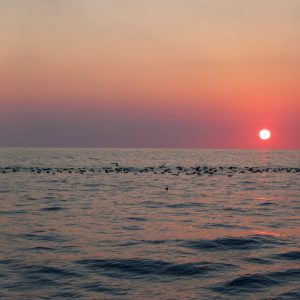 The intimate contact with the sea, the presence of a biologist, the lack of press, the choice of routes according to the best conditions for sighting, taking a dip in extraordinary places will make the trip on the “Si Bona” unique and exciting. 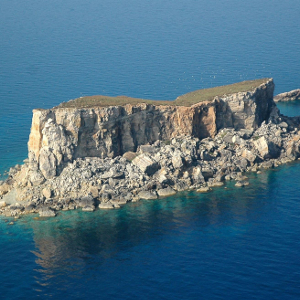 Maltese waters harbour essential habitats for the survival of endangered species i.e. long-beaked common dolphin. 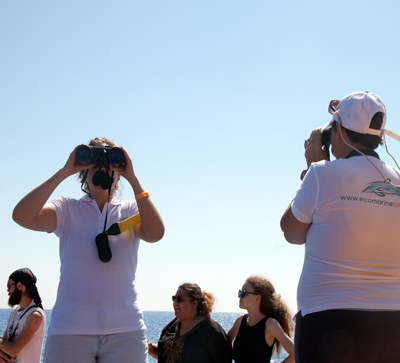 Whale/dolphin-watching activities can provide essential data to comprehend better species presence and distribution, also temporally. During the trip, you can take an active part in the research and data collection.